Ideal for a romantic retreat; enjoy a picnic in the grounds, a swim in the pool or explore the local area. Straddling the borders of Dorset, Wiltshire and Somerset, this charming row of single-storey cottages is tucked away along a peaceful country lane, close to the village of Templecombe. Adjacent to the owners’ home, and on an alpaca breeding farm, they offer well-equipped and carefully furnished accommodation for a variety of groups, in a central location ideal for exploring. Outdoor seating areas overlooking a central courtyard provide pleasant places of retreat, and the use of an indoor heated swimming pool completes the picture. Set amid excellent walking country, the holiday cottages afford ample opportunities for plenty of fresh air, and there are many delights to explore on foot. For those preferring to sightsee further afield, a main line station to Waterloo and Exeter is available from the village and quiet country roads make for scenic drives. The popular attractions of Longleat (with its excellent safari park, animal shows and historic house), Cheddar Gorge and Caves and the splendid NT properties of Stourhead Gardens, Kingston Lacey and Montacute House are all within an easy drive, as is Yeovilton Fleet Air Arm Museum and the fascinating array of classic cars at the Haynes Motor Museum. Also of great historical interest is the abbey town of Sherborne, the famous Gold Hill at Shaftesbury and the medieval towns of Salisbury and Wells – all offer their own blend of quaint shops and museums to explore, individual shops to browse and tearooms for a welcome refreshment break. For an altogether different scene, the south coast beaches and seaside towns can be reached in around an hour’s drive. Active souls can try their hand at a spot of fishing or a round or two of golf locally, while those preferring spectator sports can visit the National Hunt race course in nearby Wincanton. Shop and pub 1 mile. Living/dining room with kitchen area. Double bedroom with TV and en-suite bathroom with over-bath shower and toilet. 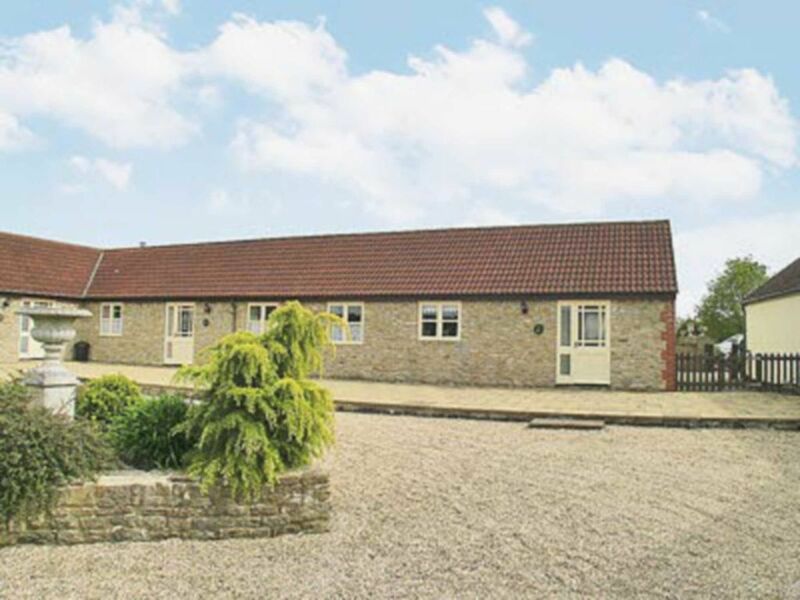 This property is situated on a working farm therefore pets must be kept on a lead and children must be supervised at all times. ADDITIONAL INFORMATION Alpaca breeding farm. Offers Broadband or Wi-Fi, this facility cannot be guaranteed to be available at all times due to the unpredictability of Service Providers.